Old school is back and Retro is in! Whether you’re into Pacman, Tetris, or Sonic, everyone’s invited! 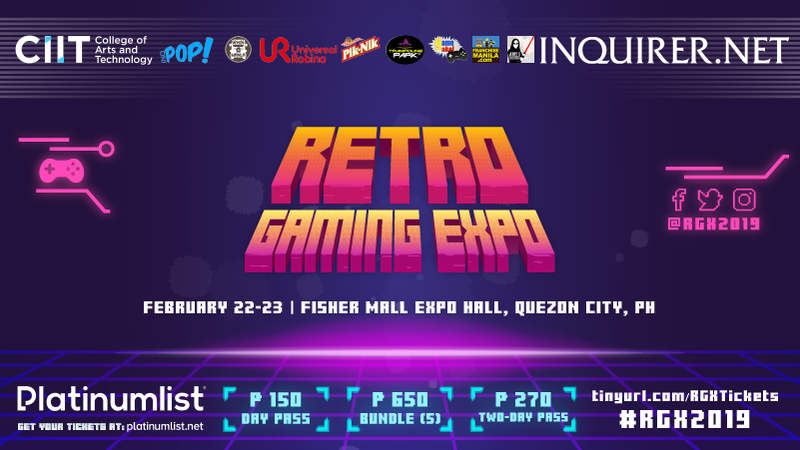 Geek out with us on February 22-23 at Fisher Mall Expo Hall, Quezon City at the RETRO GAMING EXPO! Enjoy cool booths, contests, cosplay, exhibition matches and exciting giveaways! Put some fresh batteries into your GBA, blow the dust off your cartridges, plug in your FamiCom and bask in the good old days of games with us!